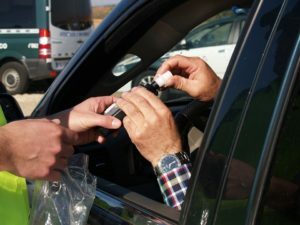 When an officer pulls someone over and suspects that they are driving under the influence, there are a number of roadside or field sobriety tests that they will give that person. One of them is called the walk and turn test where you’re asked to walk heel to toe for a certain amount of steps, turn, and walk back. Another is called the one-legged stand where you’ll be asked to lift one leg off the ground to a certain distance, keep your arms at your side, and maintain your balance for a certain period of time. The officer will also use a pen light to observe the movement of your eyes called the horizontal nystagmus test. Those tests are all used by the officer to determine if probable cause exists to bring you down to the station for the submission to a chemical breath test. There are defenses against field sobriety tests that can be made if you fail one and are charged unfairly with a DUI. These tests are generally made so if you make even the slightest mistake, the police officer has due cause to arrest you on a driving while intoxicated charge. However, it is important to know that there are ways to dispute these claims for special situations such as if you were wearing high heels or have a balance problem. On the field sobriety test instructional form that police officers use, there is a check list of all of the possible mistakes a person can make that are known as “clues” to determine whether or not there is probable cause to arrest you.